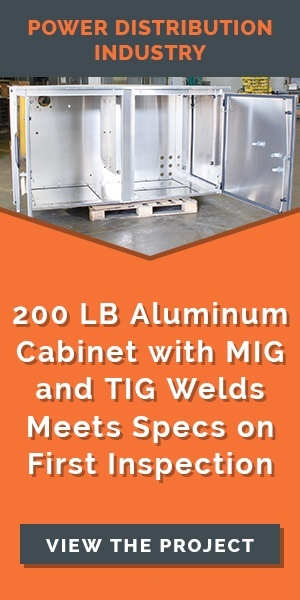 The products All-Type Welding and Fabrication, Inc. manufactures can be found in dozens of different industries. Aside from automotive, ATWF serves a wide range of customers demanding high-precision work that’s done quickly and to spec. We’re able to meet the stringent food-grade requirements of the USDA, NSF and other certification organizations. When it comes to medical equipment fabrication and welding, we have a proven track record of producing pharmaceutical-grade products that meet the high standards of the FDA and international medical companies. We can successfully weld and fabricate demanding, unforgiving materials of varying thickness that are crucial to the growth and success of your OEM business. We have extensive experience with aerospace-grade metals, tolerances and welding, producing many parts used in aircraft for NASA, large commercial jets, private jets and other aerospace applications. We’re committed to producing products of exceptional quality that stand up under the most challenging demands. Meeting the very different needs of a wide variety of clients is one of our specialties. Industry leaders often choose us because they require inspection services and full documentation. All-Type Welding and Fabrication can certify everything from materials to welds, plating and other components at every step of production. Our highly skilled technicians have earned the trust of clients by following meticulous plans every time to create mission-critical parts. Since 1987, we have delivered precision metal fabrication expertise for many industries.